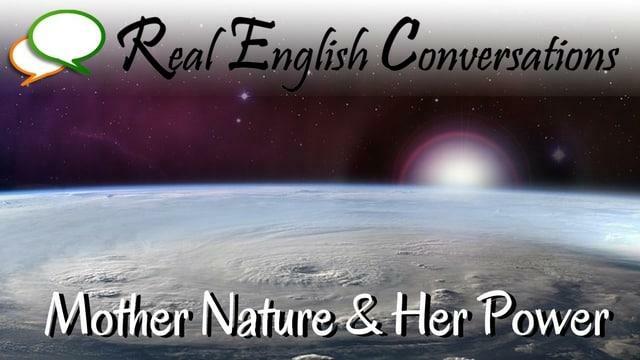 In this English podcast about Mother Nature, we are talking about Mother Nature and some of the powerful things we have seen this year: earthquakes, hurricanes, flooding, and droughts. In the Real English Tip, we have some advice that is easy to apply and it can really help you to get motivated and start seeing progress with your English skills. This conversation talks about some natural disasters we have seen during 2017 and some of the ways they have affected the people and communities where nature has caused devastating disasters that have caused many deaths as a result. Hi guys! The better way to help spread the word about your great job is sharing it on my twitter “@voyeg3r”, because I have many smart followers that will like it so much. How can I read the lyrics about this podcast?